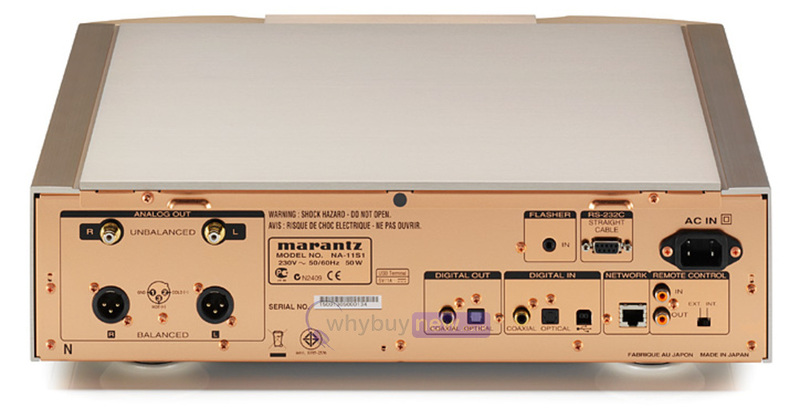 This award winning Marantz NA-11S1 Premium Network Audio Player has come to us via a part exchange and comes with a 1 year warranty. The item is in mint cosmetic condition. It comes with the remote, manuals and the original packaging. The NA-11S1 Premium Network Audio player is arguably the most advanced, next-generation player there has ever been. Its introduction to this years Premium collection is a true milestone in the Marantz history and is a momentous occasion for every audiophile. Why? Because finally, it is now possible to enjoy new media on the highest of levels, by utilizing the increasingly available high resolution downloads it creates studio master quality right in your own living room. 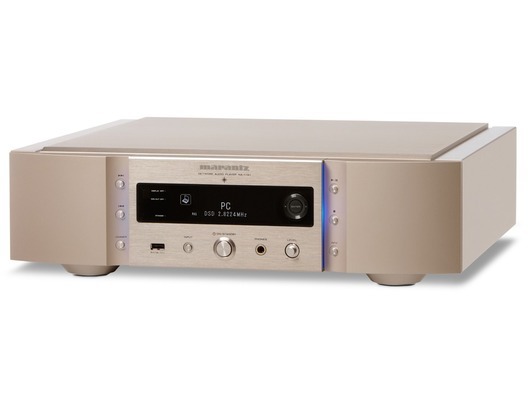 It produces such breath-taking audio quality because inside it includes the High Current Audiophile D/A converter DSD1792 as well as a Marantz original DSP and Digital Filter PEC777- a high-end algorithm previously used only in professional recording studios - we call it Marantz Musical Mastering. This type of filtering retains greater detail for an even wider sound stage and a perfect balance. Its analogue audio circuits feature Marantz HDAM®-SA2 and HDAM®, and the Toroidal transformer ensures that theres always power in store the instant its needed, while the rigid copper-plated chassis with 5mm thick aluminum top cover minimize vibration and interference. Importantly, selectable digital filters allow you to tune the sound as you prefer. The USB-B port works in asynchronous mode and supports not only 192kHz / 24bits but also the DSD 2.8MHz and 5.6MHz for maximized versatility. You can play FLAC HD 192/24 files, WAV 192/24 files, Internet Radio and Streaming Services support via Ethernet, and AirPlay Music Streaming from iTunes or iDevices as well as many other file types. It is also DLNA 1.5 certified, so Android integration is easy, and the USB-A port on the front panel also makes playback from an iPod/iPhone/iPad or USB devices just as simple. This player has the lot. What more could you dream of?